Calling all Photoshop shortcut lovers! Stop getting stuck with that annoying Artboard tool. The answer is only a few clicks away. How Do You Prefer Your Shortcuts? It really all comes down to this: there are two types of shortcut users. I’m the “don’t” and this is my PSCC rant . . . Note: The preference for using the Shift key to tool switch can be found in Preferences > Tools. Shortcuts are the bomb, but not when they’re annoying. Since the introduction of the Artboard Tool in PSCC, I get annoyed every time I press the letter V to get the Move tool and get the Artboard tool instead. Yes, I know this is a by product of preferring to not use the Shift key for tool switch. But what a girl really wants is to have her cake and eat it too. So, I found a work work around and I thought you should know about it. 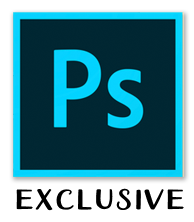 If you’re a shortcut lover like me and you find yourself being annoyed at the activation of unwanted tools, know that you can remove or change any keyboard shortcut in Photoshop–including PSCC and earlier versions. In the dialog box, open Shortcuts For and choose Tools. Click on Artboard Tool, then choose Remove Shortcut. Click Accept, then click OK to close the dialog box. Just THINK of the possibilities. No more Pencil tool when you are expecting the Brush tool. No more cycling through the Type tools when you only use one of them. And, if you find yourself exclusively using the Custom Shape tool, no more having to cycle through the five other shape tools to get to it. Just assign it a unique shortcut. It’s all about making Photoshop work for you. This is a happy girl. Rant over. Have a delightful day. I put off learning short cuts for forever. I had too many things to remember as it was! Then, one day, having ‘Deselected’ something, yet, again, I realized I could just hit the ‘D’ key and it would deselect it. This saved me so much ‘arm movement’, which is an issue with me. Several of them are single keys, like ‘B’ for Brush, without an active selection ‘D’ returns to the PS Default colors of Black and White, with an active selection ‘D’ deselects it, ‘X’ to switch foreground and background colors, ‘P’ for Pen, etc.